Here in Moreland for the electorate of Wills some of the declared candidates have already signed the climate emergency declaration. Follow their details at Meet the Candidates election forums, including a Forum organised by Climate Action Moreland on Climate and Sustainability. Moreland Mayor Cr Natalie Abboud walks the talk on mode share shift to sustainable transport. 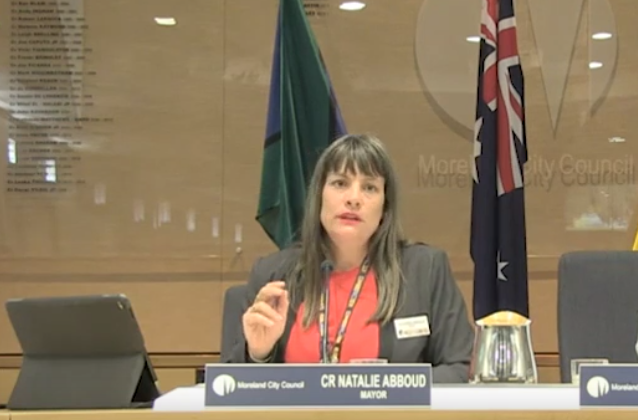 To conclude the debate on Moreland Council’s transformative Moreland Integrated Transport Strategy (MITS) Cr Abboud told her own personal journey which outlined her fears and her new found freedom in her Mayoral e-bike that she uses to move about Moreland fulfilling her duties as Mayor. Her speech came after 2 hours of debate in the Council chamber on the strategy and 18 amendments that were proposed for the Council motion. Most amendments were debated: some were lost, some were passed and incorporated into the final motion. The Strategy was passed with 10 votes in Favour and one abstention. Momentum is gathering for the global student strike for climate on March 15 in Melbourne. In Moreland families with young children are gathering at Jacobs Reserve, Melville Road, Brunswick West between 3pm and 5pm. (Facebook Event). Some of the kids have already prepared banners for this event. 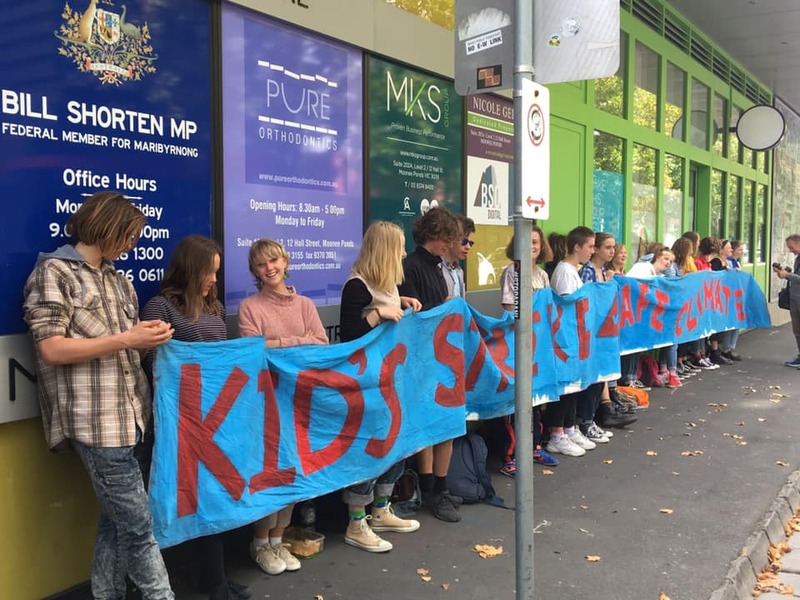 Visit the School strike for climate website to find other locations around Australia. 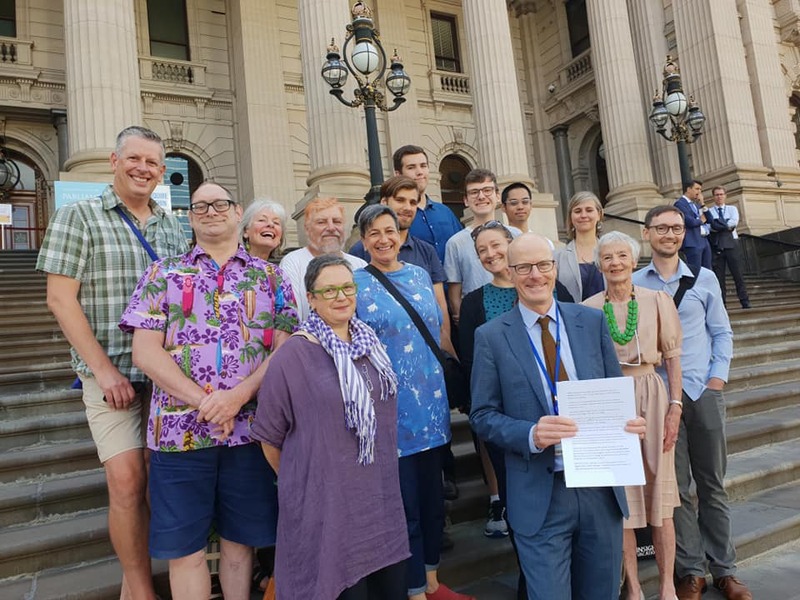 The new Greens MP for Brunswick, Tim Read, identified climate action as one of the priority areas he wants to pursue in his first speech to the Victorian Parliament. Tim Read was elected at the November 2018 state election to join Greens colleagues Ellen Sandell (Melbourne) and Sam Hibbins (Prahran) in the Legislative Assembly. 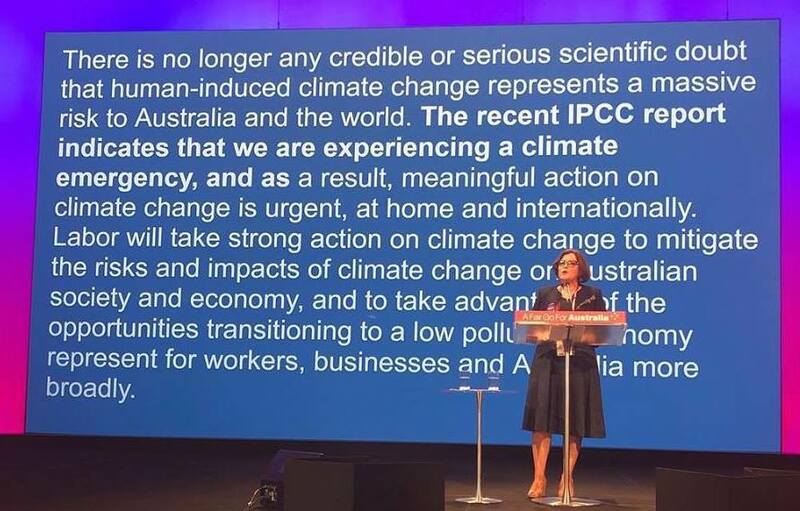 Due to the behind the scenes work of Ged Kearney, Federal MP for Batman (being renamed Cooper), the ALP National Conference meeting in Adelaide has adopted a climate change motion that highlights the IPCC Special Report on 1.5C and that we are in a climate emergency. “Climate Action Moreland welcomes the ALP acknowledging the climate emergency at their national policy conference”, said John Englart, Convenor of Climate Action Moreland. 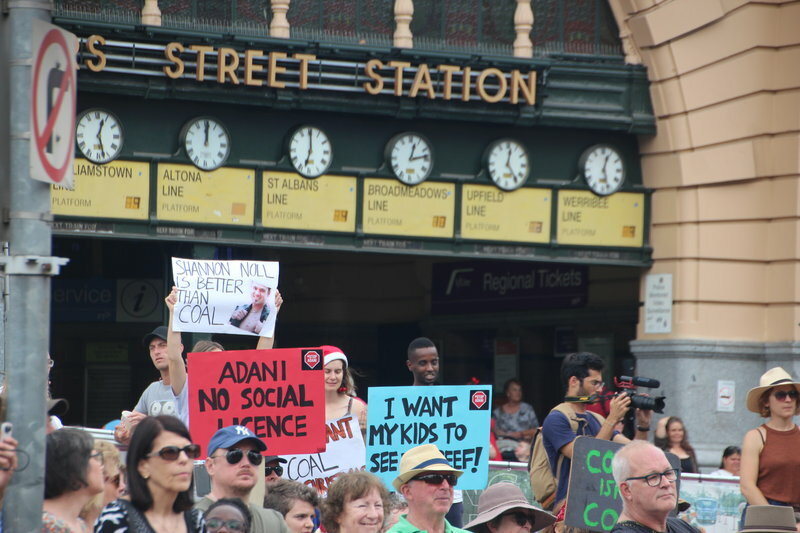 With Adani announcing they are proceeding with building the Carmichael coal mine in the Galilee Basin in Queensland last week, snap protests were called in Sydney, Melbourne and Brisbane and Cairns for Saturday 8th December that attracted thousands. In Melbourne the intersection of Flinders Street and Swanston street was occupied in a sit-down protest for over half an hour. 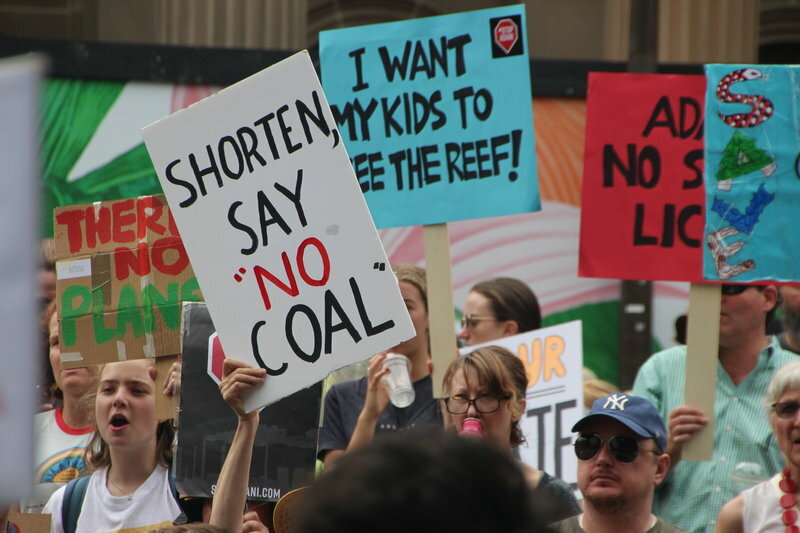 Snap protests for climate action and to stop Adani were called in Sydney, Melbourne, Brisbane and Cairns for Saturday 8th December that attracted thousands of people. The climate movement has been invigorated by the recent student strikes for climate action on Friday November 30, the occupation of Parliament House foyer, and the urgency of the recent IPCC 1.5C science report. We have a climate emergency.